Karbonn announced an awesome tablet named ‘Smart Tab 9 Marvel’ which runs Google Android 4.0 Ice Cream Sandwich operating system. The main attraction of the handset is its nominal price tag that is an affordable range. The Indian Company plans to expand their smart series with low budget category. The popular Indian mobile phone manufacturer Karbonn recently announced their mini screen handset named ‘Smart Tab 3 Blade’. Karbonn Smart Tab 3 Blade tablet comes with attractive features like latest Google Android 4.0 (Ice Cream Sandwich) operating system and 1.2 GHz processor. 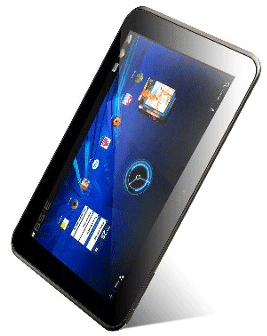 The tablet is offering Wi-Fi and 3G connectivity via USB dongle. Karbonn Smart Tab 3 Blade includes in the Smart Tab series of the Company which are popularly known as nominal price tag devices. Karbonn Smart Tab 3 Blade has a brilliant 7.1 inches TFT Capacitive touch display with 3D gravity sensor. 1.2 GHz single core processor with inbuilt graphic acceleration. 1.3MP front camera for video calling features which also capture an average picture quality. The handset is powered by a standard 2600 mAh Li-Ion battery which provides sufficient multimedia connectivity. Karbonn Smart Tab 3 Blade tablet will be available soon in India.